The holy city, Ratnagiri is famous for its tranquil beauty and religious factor. 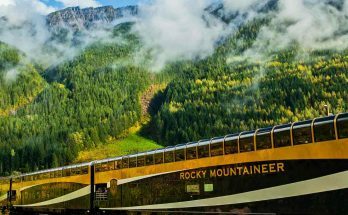 The destination is unique enough to be a part of luxury train itineraries. 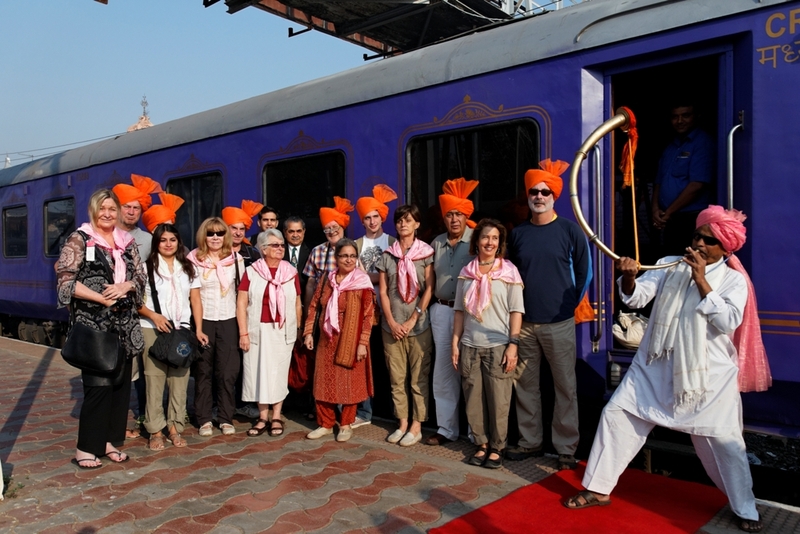 Deccan Odyssey covers Ratnagiri as a part of one of its itineraries. 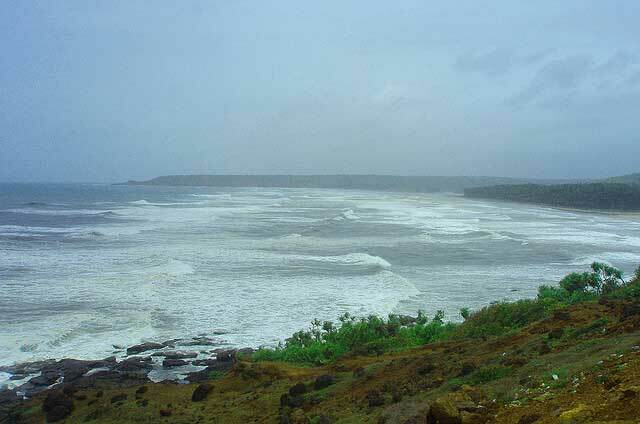 Ratnagiri is famous for its different look during different seasons. Located in Sindudurg, this town holds the best temple and beaches of the region. The town is also famous for Alphonso mangoes, artifacts, religious items and others. Here are the top things that you should enjoy during your visit to Ratnagiri. Ratnagiri Fort or Ratnadurg Fort is a historic structure famous for its beauty, majestic look and its location close to the Arabian Sea. This fort was built by Sultans and was controlled by Chhatrapati Shivaji during 17th century. Later, it came under the control of British. Covering 120 acres of land, this fort was an important strategic point for Mughals. This fort was a watchtower to keep people away from pirates. The fort is built in the shape of a horseshoe, surrounded on three sides by water and one side by land. The fort is divided into four main parts. The largest of all is the Peth Fort, which forms the middle part of the fort. The Parkot part of the fort holds the famous Ratnagiri lighthouse. The upper and lower part of the fort are connected by a tunnel. Numerous bastions are located in the fort. The fort also holds numerous temples. One such temple is the Bhagwati temple. This is one of the reasons to why the fort was called as Bhagwati Fort. During the festival of Navaratri (September/October), a grand festival is celebrated in this temple. There is a small jetty in ruins on the side of the fort. The best activity is to enjoy sunset from the jetty. Tourists also scale up the lighthouse to get a great view of the sea around them. 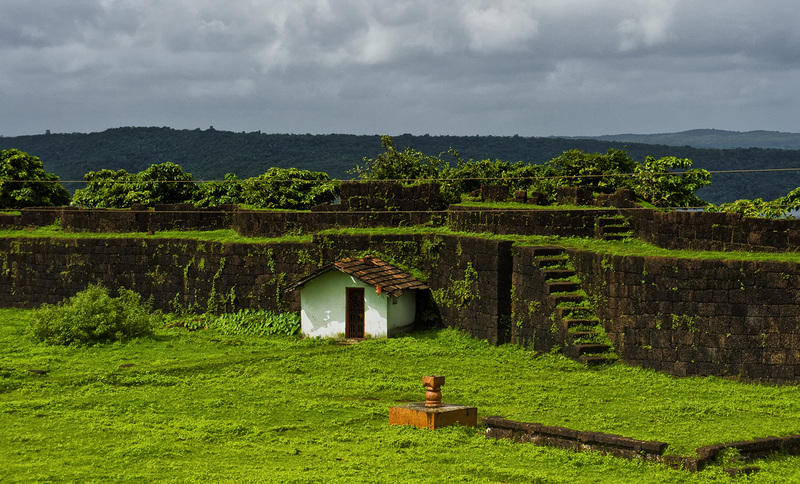 The best time to visit the fort is during monsoon season. Mandavi Beach is one of the top destinations, which is covered by Deccan Odyssey. Located in the happening regions of Ratnagiri, this is an important beach and thus, it is usually crowded. This beach is famous for its amazing seashore, which will lead you to Rajiwanda Port. This beach holds Arabian Sea on one end and the Ratnagiri Fort on the other end. This beach is also called as the Gateway of Ratnagiri. This is because the beach was used as a bastion during yesteryear. Today, the beach is an important destination for water activities. You can find a couple of beach adventure activities for adrenaline lovers and picnic spots for relaxation. The black sand of the beach might be a little con for the picnic element but, the beauty of nature is beyond measure. 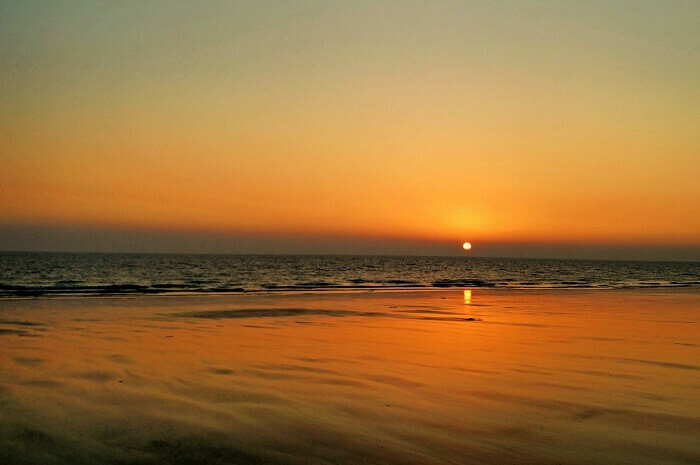 This beach is located near Ganeshgule Village. This is one of the serene beaches in the state, which is famous for its aesthetic factor and religious factor. The beach is famous for picnic, sunset view, strolling, photography and others. You can find many resorts along the sides of the beach. Swimming, snorkeling, diving, surfing, parasailing, boating and other water activities are allowed in the sea. If you are looking for a serene and relaxed time, you can find numerous secluded spots for enjoying a lone picnic or romantic time. Apart from these, there is a famous Ganeshgule Temple, very close to the beach. During religious seasons, you can find numerous pilgrims offering their prayers and unique rituals. The temple is also an important tourist attraction as much as the beach. Located a little away from Ganpatipule, this coastal area of Jaigad is famous for the fortification. This is one of the famous historic forts of the region. The creek of Jaigad is the meeting point of Shastri River and Arabian Sea. This creek is protected by two forts. Vijayagad on the north and Jaigad at the south. You can enjoy a boat ride from the jetty or reach the lighthouse to get a panoramic view. It is believed that Jaigad was built during 14th century. Later, it was controlled by Chhatrapati Shivaji before handing it over to British in 19th century. Most of the fort is in ruin and only the outer fortifications stand. This fort holds a strong moat, bastions, temples, wells, rest houses, lighthouses and much more. You can enjoy exploring every inch of this fort during your visit. 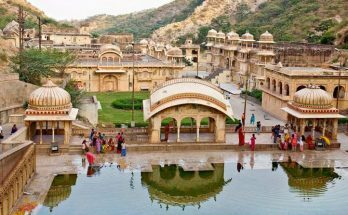 Although the last destination of Deccan Odyssey, this is one of the finest destinations of the town. Located very close to the town’s bus stand, this beach lies on the Konkan coast of the region – a place, very famous for aesthetic beauty. The beach has Sahyadri mountain range backdrop and spans for 15 km. It is a flat and straight beach and thus, you can find numerous places for picnic, close to the bluish water. The beach is clean and has silvery sand. The beach is lined with casuarina trees. The best activity of the beach is sunset view. 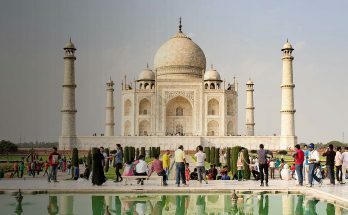 This is one of the main reasons to why Deccan Odyssey journeys has chosen to visit this place by evening. From the Bhatye Beach, you can easily spot many landmarks like Mandavi beach, Rantnagiri Lighthouse, Zari Vinayak temple and others. Very close to the beach, a coconut research facility is present. However, entry to the research center is restricted. Top activities to enjoy in the beach are camel ride, horse ride, picnic, local cuisine tasting, drinking fresh tender coconut water and others. Deccan Odyssey has incorporated the cuisine of the land to the itinerary too. Although very close to the general cuisine of Maharashtra, the cuisine of this town has more historic appeal than the other part of the state. Ratnagiri cuisine holds very strict connection with Konkan styled cuisine. Top dishes to try are local seafood, chicken with rice dumpling, Konkan sharbat, Amba panna, ambapoli, shark curry, mori masala curry and others. The top delicacy to try here is Modak. You can find both meat and vegetarian dishes in this region. Maharashtra Splendor is the itinerary which covers the destination of Ratnagiri. Although Deccan Odyssey limits itself to just one day of Ratnagiri, this is not the exclusive list of attractions and activities. There is a lot more to this historic land that you ought to enjoy scaling on a monsoon or winter day.